Japan was recently bombarded by Typhoon Jebi on September 4th 2018, the worst Typhoon that Japan has seen in 25 years. The storm caused catastrophic damage across the Kansai region of Japan, and neighboring areas. Following this recent event, a magnitude 6.7 earthquake was reported in the Hokkaido region of Japan on September 6th, causing widespread water and power outages. Recoveries from the typhoon will take many months, possibly years. And it will take up to a week for water and electricity to be restored to all areas of Hokkaido. The Hokkaido region of Japan is also home to Sapporo, the hometown of Crypton Future Media, the creators of Hatsune Miku. Hiroyuki Itoh, the CEO of Crypton Future Media, has reported that their office was thankfully not majorly affected by the earthquake. But many areas were not as fortunate. 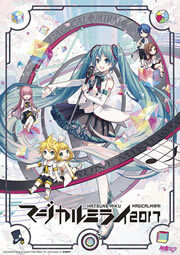 We here at MikuFan wish all people of Japan safety and speedy recovery from the recent natural disasters. Below are tweets from Hiroyuki Itoh of Crypton Future Media, and a summary video showing the severity of Typhoon Jebi. For Hatsune Miku’s 11th anniversary, the Sony Sapporo Store staff uploaded a rather touching video to their official Twitter. It starts with Hatsune Miku wandering the Sapporo streets at night, when the Sony Sapporo store catches her eye. Miku takes a look around inside, and is caught by surprise with a heartwarming birthday greeting from the store staff. Sony Store Sapporo has had several collaborations with Hatsune Miku in the past with exclusive merchandise, and Sapporo is also Hatsune Miku’s hometown. So it’s nice to see Sony Sapporo remembering Hatsune Miku on her birthday. Watch the video below!